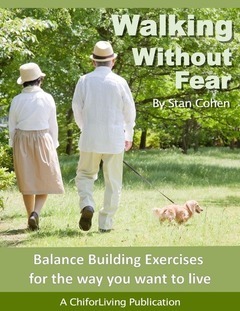 What is the big deal about Tai Chi balance? Most people I speak with think of Tai Chi and it’s use in physical, or fall prevention balance work… however the word goes much deeper. Of course in working with seniors and our older population in general my focus is on fall prevention. Building muscle strength, coordination and “awareness”, however that is just one part how Tai Chi style movement helps balance the whole person. Think of how you move in general. Most of us are not ambidextrous, meaning we have one master side. Right or left handed / footed. Much better coordinated on one side than the other and so on. Working with movement and exercise such as Tai Chi or Qigong style programs help to even the mind/body connection. The patterns, timing and coordinated movements work on both sides of the body, forcing your brain to balance your movement and awareness, build muscle memory into often little used muscles and increase your awareness of them. Though the concentration needed while learning the m movements, it forces your brain to narrow it’s focus, driving out the chatter and noise while performing the movements. Again, the word balance comes into play as performing the movements and breathing smooths out, calms and relaxes your thought process.